Gentle Readers, I planned for today’s post to include some insights from Ta-Nehisi Coates’ new book. I ordered it last week and expected to be through by now. When the book hadn’t arrived by late last week, I went to inquire. Then I learned that their supplier has only 1,400 copies to spread across the state, or a good portion of it, and so my order had turned into a back order with no estimated date of arrival. The good news a high demand means to Ta-Nehisi’s bank account comes joined with my small misfortune. Few have suffered so keenly as I have, of course. Future generations will remember my inconvenience in tastelessly baroque arrangements of concrete. Generations further removed still will wonder at the overweight, balding fellow on horseback with a laptop and too many books precariously balanced on his knees. I rode a horse once, if one counts a plow horse in its traces. By this same standard, I have ridden an elephant. We history bloggers lead glamorous lives, you know. My tragedy for the ages aside, that leaves me with a Modern Monday to write. I cast about for a while before realizing that I read Coates to understand. He writes well and powerfully from a perspective that I think most white Americans have little to no experience with. We have, for the most part, very segregated lives and the culture which produced us works very hard, by design, to keep things that way. By reading him I get a bracing corrective to that which then informs my further reading of history. He helps me understand not just black Americans, but all Americans. To the same end, I sometimes read historiography. I must distinguish this from history as one usually knows it. Historiography often, and ought, to come in history books but the two do differ. I understand historiography as the history of historical interpretation, which lately I have approached through Kenneth Stampp’s The Causes of the Civil War. There he collects signature writings in the historiography of the war, from period documents to postwar polemics and historians all the way up to the last printing in 1991. This matters because, whatever appearances to the contrary, every historian comes from somewhere. The historian’s personal values and the culture of his or her time inform every step of the historical endeavor from what questions one cares to ask to where one looks for material to how one weighs particular evidence. In this, historians do not differ so much from everyone else. 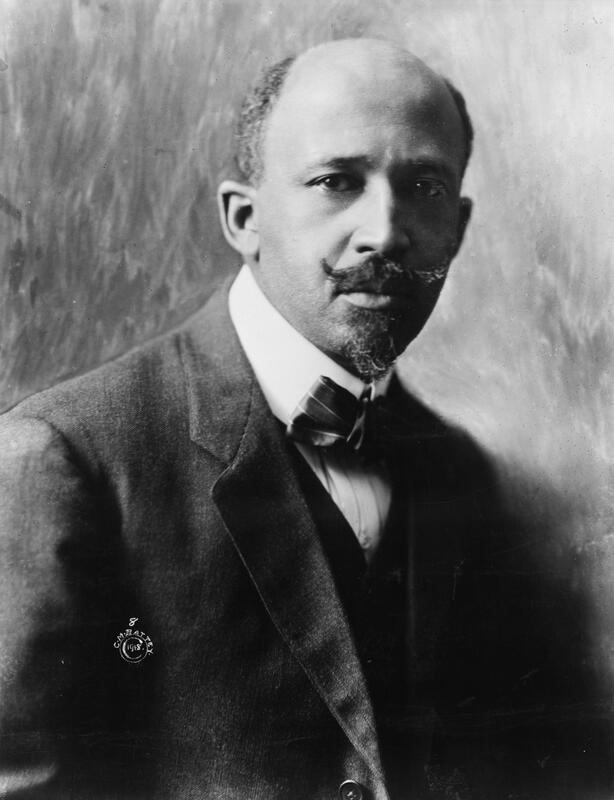 For Du Bois, the Civil War was not only a clash of economic systems but also a war of ideas and ideologies (systems of thought). With careful attention to both the economies and the ideologies of North and South, modern “fundamentalists” such as James M. McPherson, Eric Foner, Bertram Wyatt-Brown, Bruce Levine, John Ashworth, Brian Holden Reid, and Sean Wilentz have described the two sections as different and deeply antagonistic societies; all agree that slavery was the root cause of that antagonism. The North’s commitment to capitalism and modernization, these scholars explain, was the context for abolitionism and for the free labor ideology of Abraham Lincoln’s Republican Party. The South’s commitment to staple production and slave labor was reflected in the region’s distinctive cult of honor, its preoccupation with localism and states’ rights, and its defense of social inequality. Full disclosure: I have read McPherson, some (and not nearly enough) Foner, and Ashworth, but not the others. They remain on my ever-growing list of scholars to read. It follows from these premises that at the very least, one would expect intense and regular conflict between the North and South. This conflict could very probably have come to the point of war at some point, regardless of the outcomes of individual crises. We can’t rerun time and see how things might have gone in other circumstances, but viewed in light of this each crisis comes to us less as a unique thing in itself and more as part of an ongoing and never entirely subdued dispute. Contingency might have shaped how each conflict arose and what resolution came, but a resolution that brought satisfaction to one section would naturally have come at the perceived expense of the other. This would in turn lead to less tolerance for future compromises on behalf of the aggrieved, which would further alienate and undermine the position of moderates in the other section. Cycles of polarization feed upon themselves and ratchet up the tension, making alternatives once the province of a few seem increasingly like sensible options. Perhaps those drastic steps would become then the only options, leading to a rupture which no mystic chords of memory could bind back together again. Against this school, one could array the neo-revisionists. The original revisionists, much-beloved of latter-day Confederates, blamed the war not on profound sectional differences but instead on manufactured controversy. To their eyes, irresponsible agitators of a blundering generation (for this one should generally read “abolitionists,” the fire-eaters usually got a free pass or only pro forma denunciation) invented the dispute over slavery for some other reason. It could come down to one’s personal ambitions, desire to build a political party, or esoteric and often unrelated issues like the tariff. To them, slavery played a role more as the incident of the sectional breach rather than its main cause. The neo-revisionists do not go nearly so far as this. Reviews I have read cast some doubt on Varon’s assigning David Potter and Stampp himself to this school. Having read Potter’s The Impending Crisis, I really don’t myself know where got that one from. But William Freehling, author of my much-loved Road to Disunion volumes accepts the label. In any event, this newer wave of scholars all emphasize the centrality of slavery in their own ways. They put more weight in contingency more and give more credit to individual actors, blundering and otherwise, but little dispute remains over the subject of the controversy. This leaves us not with a question of what caused the war, but rather whether or not the people of the time could have avoided it. I don’t think so. At the very least, doing so would have taken an especially monumental change of heart on behalf of multiple deeply committed and influential actors who all stood to lose a great deal for reversing themselves. People don’t normally turn on a dime like that even without the future of the nation, as they understand it, at stake. I don’t know when exactly the ship sailed and the increasing forces of antagonism became an irreversible trend; none of us can know that with any certainty. One can point to the election itself. 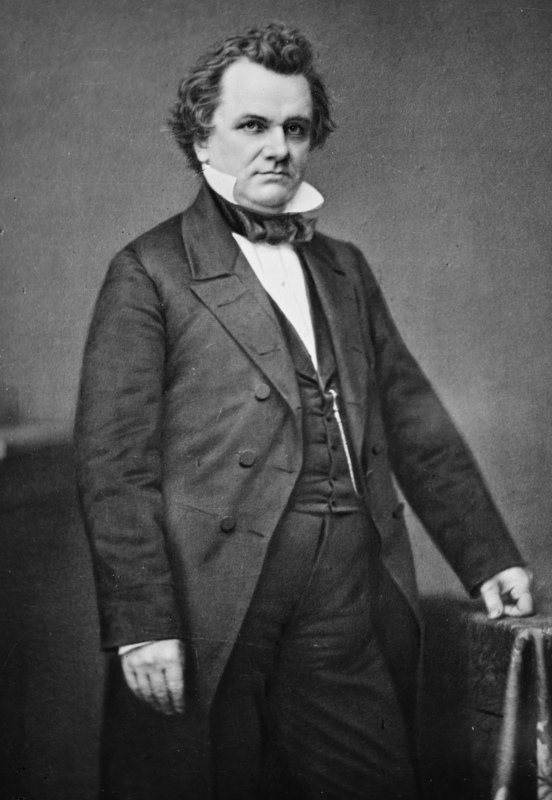 If Stephen Douglas won, would the Southern Democrats really bolt the Union? They had refused him, but by cooperating they could win concessions as they so often had. Then again, Douglas ultimately came out against them over the future of Kansas and Kansas matters kept the sectional fires burning for most of the decade before the war. 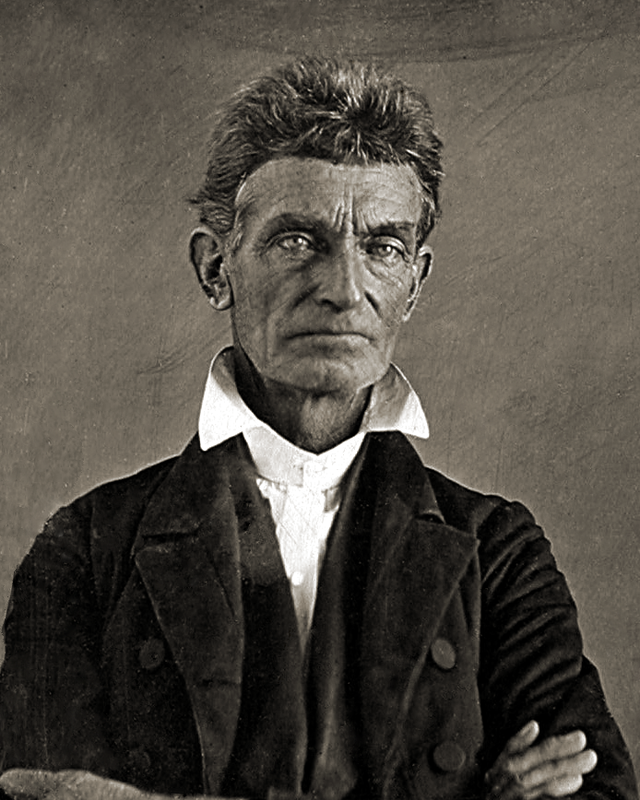 Could John Brown have saved the Union by staying home? Maybe so, as his raid on Harper’s Ferry prompted fresh panic across the South. But white southerners saw in John Brown nothing more than the culmination of all they had already observed among the Republicans. Taking things further back, if we could remove Kansas from the equation things become less clear. 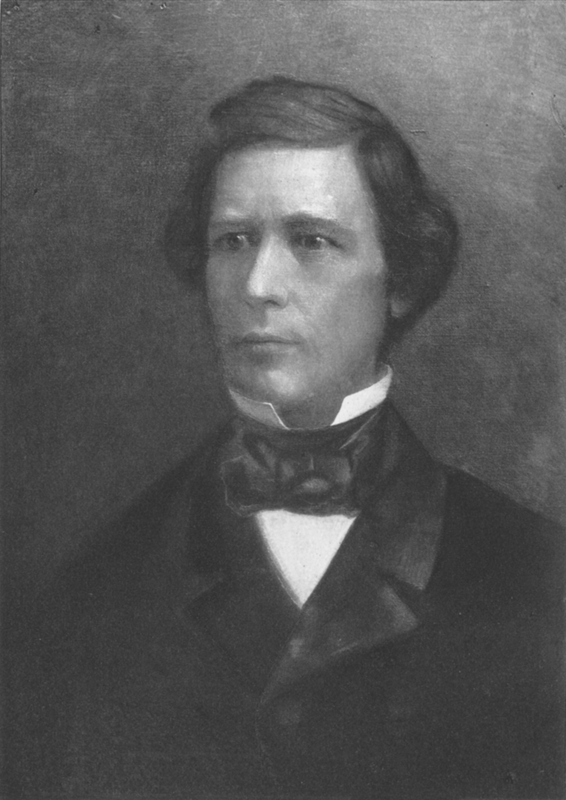 Many historians, including Freehling, have taken the passage of the Kansas-Nebraska Act with its repeal of the Missouri Compromise as the point of no return. It broke the Whigs, ravaged the Northern Democracy, and ultimately created the Republicans. If the northern Whigs had little reason to curry favor with their southern wing, then they had at least some. The Republicans had no southern wing to appease and the thought of them creating one in the Border South helped drive the Lower South out of the Union. But then the Whigs did not look so well before 1854. The Compromise of 1850 demonstrated that the Democracy could deliver for slavery where Whiggery could not and at least somewhat harmed the Whigs in doing so. Dispute over the enforcement of the Fugitive Slave Act had not gone away and proved a source of tension fruitful enough that South Carolina damned northerners as nullifiers over it in 1860. If this did not amount to a Kansas-sized breach, then the fact that it did not work as advertised agitated the South as much as its existence and operation did the North. I don’t know that calling anything inevitable makes for best historical practice, as it seems to both deny agency to people in the past and to render the historian’s task moot, but at the very least I think an eventual war over slavery’s future became far more likely when David Wilmot rose and proposed that slavery should not extend to any land taken from Mexico. One can, however, step back from that and say that Wilmot had no reason to do any such thing had no Mexican War ensued. The Mexican War arose inherently, even as understood by the men who voted for it, from the annexation of Texas. That takes us back to the middle of the 1840s for the act of annexation itself, or the decade prior for when it first became a national issue. It would not do to draw a straight line from each of these points to Sumter. Nor should we neglect the serious friction over the Missouri Compromise itself back in 1820. But I take each of these points as increasing the probability of civil war. I think that we often overstate the fractured nature of the early Republic, reading too much of the 1850s and 1860s backward and too much of colonial disunion forward. Much of this comes from reading invocations of states rights as arising from disposition and principle rather than partisanship and circumstance. I also think that a degree of paradoxical nationalism plays into things. By emphasizing the frailty of the Union, we can make the fabled experiment in self-government seem all the more remarkable for its endurance. Considering all of this, I take the Missouri Compromise as a prototype for sectional crises, if not one immediately followed. Sectional tension over slavery then, I would argue, increasingly characterized national politics. This trend did not come without partial reverses and progressed somewhat modestly in its early years, but each controversy thereafter sharpened the lines further and so made the next both more likely and more perilous to the peace of white Americans. The neo-revisionists might ask why compromise and pacification failed in 1860, when the Union had endured decades before then. Latter day blundering generation historians could point to turnover of politicians in both sections. Men who came of age in the Era of Good Feelings remembered something like an America without parties, dominated by statesmen they imagined disinterested. Those men retired, often to the grave, during the early 1850s. They could have done better. 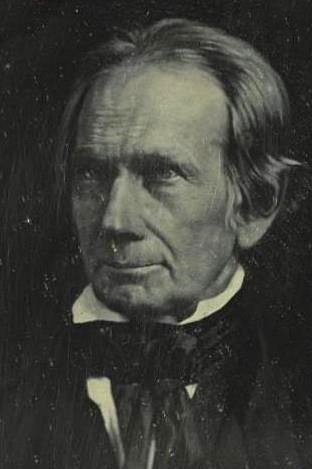 But then Calhoun himself, as much a product of that time as Henry Clay, rejected compromise. Nor did those men, some of whom got the idea going in their retirement, have to deal with the tensions that at least a decade of fairly steady conflict had brought to a head. Clay’s final compromise got only qualified approval, so even had his generation lived longer I don’t know that they truly could have found space to satisfy everyone on the increasingly small middle ground. Nor do I know that they should have. The questions of the war’s inevitability and the nature of the sectional conflict do not come to us detached from other concerns but rather deeply connected. The original revisionists disclaimed slavery as a cause because they considered the institution doomed anyway or because they understood black Americans as natural slaves who required it. Both interpretations made the war fundamentally needless, hundreds of thousands dead and billions of dollars of property wasted. Neo-revisionists don’t usually go that far, though they are right to note that we make the judgment more easily in hindsight, and our modern values about racial egalitarianism, than anybody could have at the time. With respect, I argue that this holds equally true for every historical judgment. We all came from somewhere. I suspect that graduate schools now, after a decade and a half of dubious wars, have more than a few neo-revisionists attending classes just as past generations imbibing the Civil Rights Movement and fresh off victory in the “good” war filled those same classes with neo-abolitionists. I don’t want to go into the connected questions at the same length; perhaps I will some other day. But it would do to touch on them. I do not believe, as the original revisionists did, that slavery had reached its natural limits. Nor do I think that in the long term its natural limits would have held. Without the Civil War, and without a war that lasted at least a few years, I suspect slavery would have thrived at least until the First World War. It may, in fact, have managed quite well into the second. Then the demand for labor might have strained it to the breaking point, but I don’t know that it necessarily would have. A slave can do factory labor as well as farm labor, as the Nazis well knew and as the operators of Virginia’s Tredegar Iron Works discovered. Slaves could have mined in the American West. Caribbean and Mexican conquests could have come to further expand the horizons of traditional plantation agriculture. Absent the Civil War, we might still be trading slaves today. It would take only twelve states committed to its perpetuation to quash any constitutional amendment to abolish and absent the Reconstruction Amendments and a century of jurisprudence that leans heavily upon them, I don’t see a clear road to its end in the United States. Further, while as power-hungry as anybody else and as racist as their time dictated, I don’t understand white antislavery Americans and abolitionists as little more than hypocrites who found a convenient cause and rode it to power. The more I read of their writing and study their deeds, the more convinced I become of their sincerity. They had cynical opportunists among them, but so does every movement. I am equally persuaded that white proslavery Americans wrote, said, and did as they would in earnest. I don’t think as highly of them for it, but I don’t consider their movement any less genuine than that of their opponents. Why does all of this matter? Perhaps it sounds like a great deal of naval-gazing. We shall go back to Kansas on the morrow, but I don’t think that one needs to pursue a doctorate in history to get something out of these considerations or pretend that we do well enough to appease advisers. These convictions do arise from studying the material. They also come informed by present circumstances. But the connections run both ways. Recognizing where a historian sits on the questions gives context to the work and so helps me process it. Knowing where I sit both guides me to subjects and sources of interest and, if probably to a far lesser degree, alerts me to places where my biases may blind me. Knowing the premises of past arguments, especially where the facts did not agree with them, helps me develop a more informed understanding than past generations could enjoy. I don’t know if it converges on truth. I don’t know if we should even consider truth the correct metric in the absence of time machines. But I feel improved for doing it. This entry was posted in Bleeding Kansas, Kansas-Nebraska Act, Modern Monday, Road to War and tagged Books, Calhoun, Compromise of 1850, Elizabeth Varon, Eric Foner, Henry Clay, historiography, John Brown, Kenneth Stampp, meta, Missouri Compromise, Personal, Seward, Stephen Douglas, Ta-Nehisi Coates, Texas annexation, William Freehling, Wilmot Proviso.